The deadline to apply is 11:59 p.m., April 2, 2009. In addition, stimulus funds will be distributed through the state arts agencies. The New Hampshire State Council on the Arts has been allocated $293,100. This message describes the application process for the direct grants from the NEA. The American Recovery and Reinvestment Act of 2009 recognizes that the nonprofit arts industry is an important sector of the economy. In accordance with this Act, the National Endowment for the Arts has received funds to help preserve jobs in the nonprofit arts sector that are threatened by declines in philanthropic and other support during the current economic downturn. 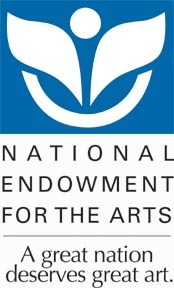 This program will be carried out through one-time grants to eligible nonprofit organizations including arts organizations, local arts agencies, statewide assemblies of local arts agencies, arts service organizations, units of state or local government, and a wide range of other organizations that can help advance the goals of the Arts Endowment and this program. Grants will be made to organizations for their own job preservation projects and to designated local arts agencies, eligible to subgrant, for subgranting programs to eligible nonprofit organizations. All applicants must be previous NEA award recipients from the past four years (see "Applicant Eligibility" for more information). In addition to the guidelines, please see the Frequently Asked Questions. Electronic application through Grants.gov is MANDATORY. Verify that your organization has completed all steps of the registration process. If you have already successfully submitted an electronic application, renew/verify your registration. Verify that you have a version of Adobe Reader that is supported by Grants.gov installed on your computer before you download your new application package from Grants.gov. Submit your application no later than 10 days prior to the deadline to give yourself ample time to resolve any problems that you might encounter. You take a significant risk by waiting until the day of the deadline to submit. Submit your application outside of Grants.gov's hours of heaviest usage, generally noon to 5 p.m. Eastern Time. The Arts Endowment will not accept late applications.